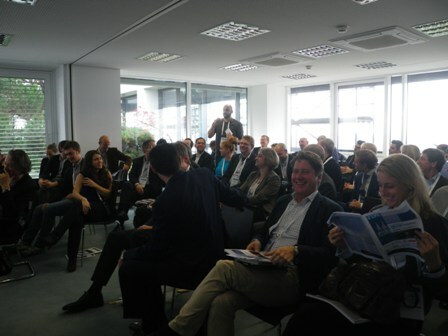 Building on the success of past editions, the European Venture Contest NRW came back to Cologne on 30 October 2014 to uncover the most promising entrepreneurs of the North Rhine-Westphalia region. 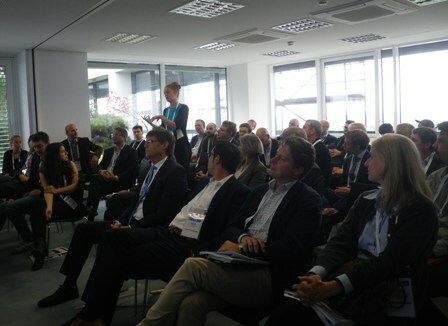 27 up-and-coming entrepreneurs active in the ICT, Cleantech and Healthtech sectors convened in Cologne to present their innovative business idea to a jury panel of international industry experts, independent VCs, corporate investors and business angels. 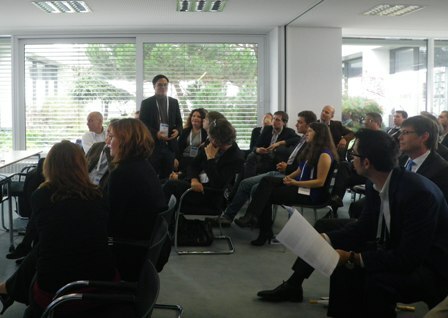 The Jury selected the top 20 companies who will be invited to pitch at the European Venture Summit (EVS) in Dusseldorf on 8 & 9 December 2014. The list of selected companies can be found here. For the 2014 edition, the European Venture Contest NRW strived to promote women’s entrepreneurship. This initiative aimed at underlining the importance of women entrepreneurship in male-dominated business industries. In total, 7 out of the 27 pitches were made by NRW-based women with leadership roles. All of them qualified to pitch at the EVS, representing 35% of the award winners for this edition. The European Venture Contest NRW 2014 was an initiative of Europe Unlimited co-hosted by the Ministry of Innovation, Science and research of the German State of North Rhine-Westphalia, t he Ministry of Economy of the German State of North Rhine-Westphalia, Biocampus Cologne and the City of Cologne, and is supported by the City of Düsseldorf, NRW Bank and RTZ. 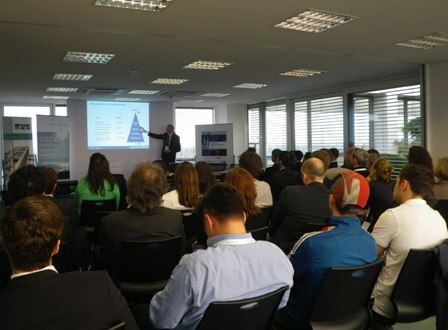 The European Contest NRW is part of the European Venture Contest (EVC), a contest which aims to find the top 10 emerging companies through a pan-European competition every year. The EVC is the only free of charge internationally-delivered venture competition and is specifically targeted at early stage high-tech companies in ICT, Cleantech and Healthcare.